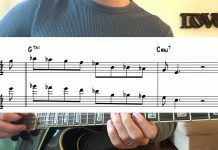 Practicing ii-V-I licks is an incredibly important thing for jazz musicians, especially in the early stages, but can still be beneficial at any stage of development. 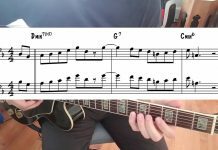 The ii-V-I is one of the most common chord progressions found in jazz standards and many other kinds of music, so it’s important to have a rich vocabulary of ideas to play. You can learn licks by ear from jazz musicians you admire, and I highly suggest that. But I know that sometimes it can be overwhelming and you just need a place to start. The most important thing is to pick a few and practice them the right way. 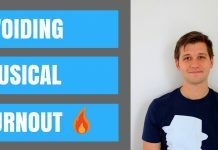 If you have focused, goal-oriented practice sessions you can get some powerful results out of just a little bit of material. 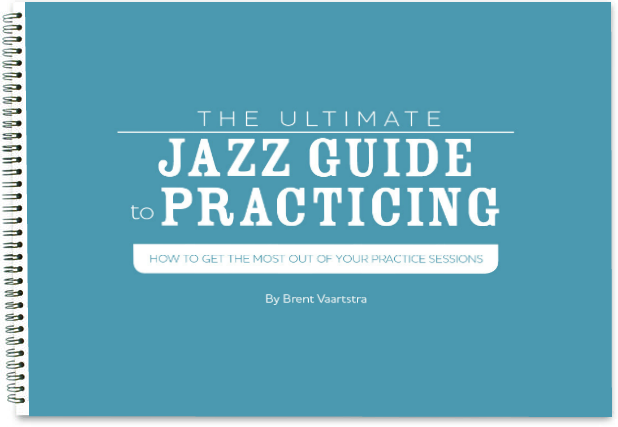 Speaking of practicing, make sure you’ve signed up to receive our free “Ultimate Jazz Guide to Practicing,” if you want to make sure you are working on the right things. It will just take a minute to sign up, we’ll send it to you, and you can continue on. Here are 12 ii-V-I licks to work on today. 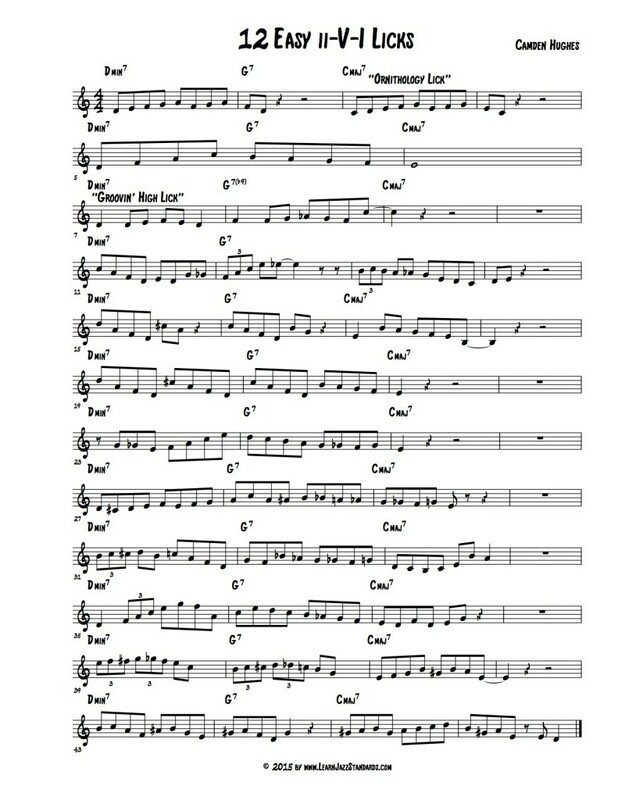 These are composed with some themes in mind, but most of all they are made to help you spell out the chord changes. Pick a few you really resonate with and take them through all 12 keys! Hope you enjoy working on some of these! Take your time and dedicate yourself to one or two. Sometimes less is more. 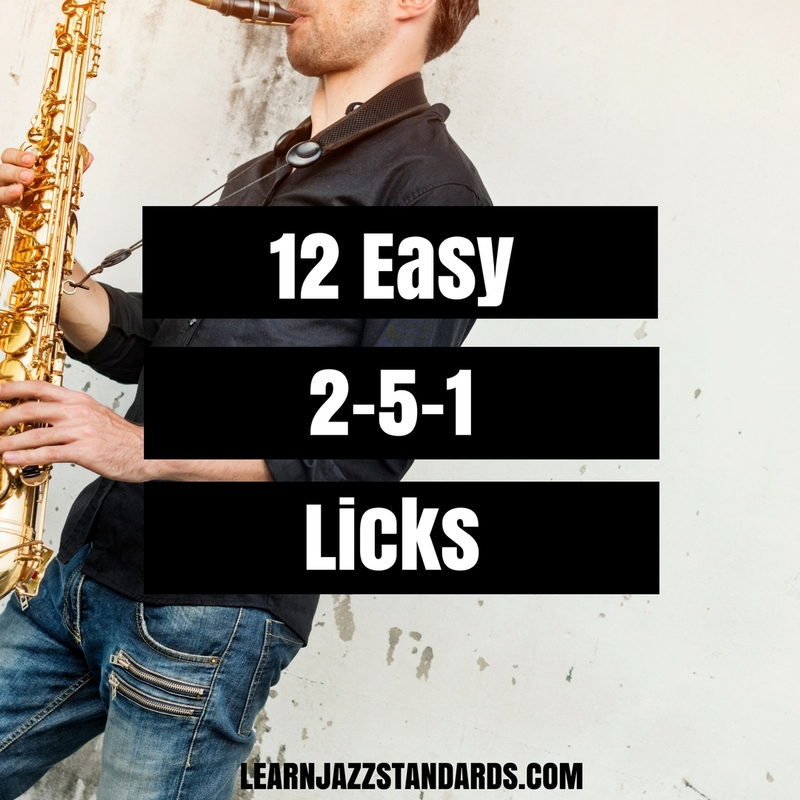 Take one lick and make your entire week all about it in all 12 keys. Then the following week take another one through all 12. Give yourself time to internalize that musical information and your time investment will be well worth it! 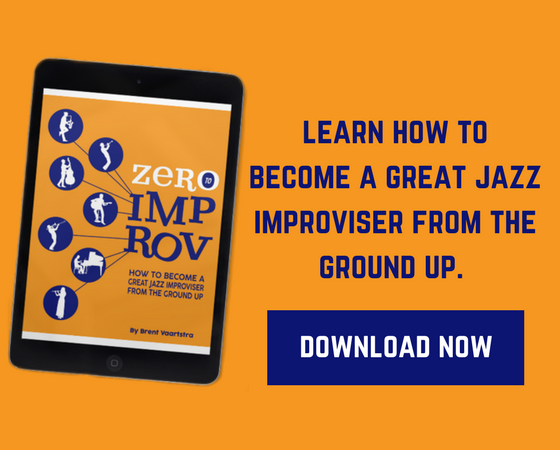 If you need more of the basics of improvising under your belt, check out our eBook Zero to Improv which helps you become a great jazz improviser from the ground up. 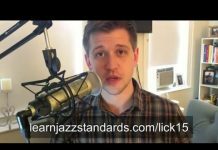 If you need help with how to set up your practice sessions up for success, check out this post called Jazz Improvisation Made Simple. The second to last line (measure 39) is missing a couple of quarter rests. I assumed they were on 4 of measures 39 and 40. Nice licks! I have practicing them for a couple of days now. I can almost play them all by memory. 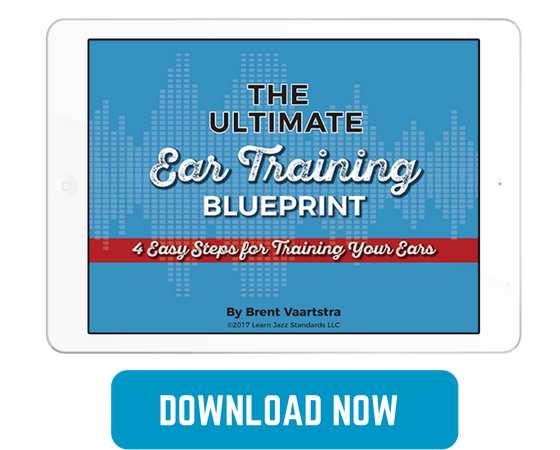 Now it's time to play them better and faster by using the metronome. You can see the D-7 and Fmaj7 arpeggios practically in every lick. I like the chromatic parts. They are very instructive and useful.